The Nigeria National Petroleum Cooperation (NNPC) said it has started the process that would lead to the exploration of oil and gas in the Sokoto Basin. “We have been on the issue of exploration in the frontier basins. “And so far some measures of steps have been taken, as such already purchased aeromagnetic data and its being interpreted to determine the sedimentary thickness and the basin configuration. “Secondly, we have awarded a contract for the geological mapping of the basin. The GMD added that discussions were on-going with Integrated Data Services Limited (IDSL) to award contract for surface geochemistry, ground gravity and magnetics. “This is necessary to determine if hydrocarbon is generated in the basins and importantly, to integrate all data for understanding of petroleum systems of the basins. 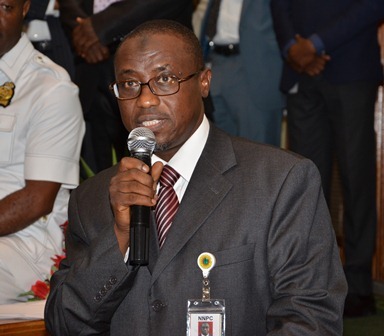 “NNPC will also carry out high resolution regional 2D seismic data acquisition to identify leads and prospects, after which a 3D seismic data acquisition will be carried out over leads and prospects. “After all these are carried out, we will then begin to drill for oil and gas in the basin,” Baro added. 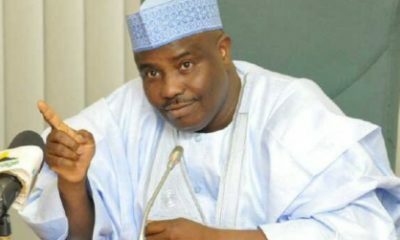 While commending Tambuwal for the visit, he assured that the cooperation was giving required attention to renewable energy and inland basins in order to create a prosperous future for the entity. 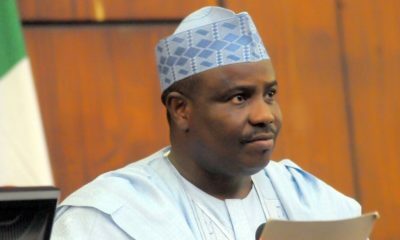 Earlier, Tambuwal said various studies had been carried out by the government on the Sokoto Basins, the result of which would be made available to the NNPC to aid its efforts. He said the government, in collaboration with the Usman Danfodio University, would organise a national conference on the Sokoto Basin in October where international scholars would make presentations on the topic. “We are inviting you and the NNPC to take part in this important conference because we believe it will add value in our search for hydrocarbon in the Sokoto Basin,” he said. He said historical records indicated that the presence of hydrocarbon in the Sokoto Basin had been a subject of interest to geologists for long, a situation that made Italian oil giants, Elf, to consider preliminary exploration activities beginning from the 50s. He said Sokoto government would welcome the start of activities and would support any effort that will lead to positive result. Waste of time. You only need soil scientists to do top-level work to determine if there may be oil deposits. 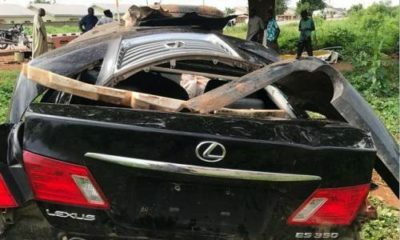 In the mean time, why doesn’t the government focus on eliminating the scourge of boko haram, creating a world-class state complete with running water, proper sewage, garbage collection, electricity, good hospitals, and improved education for all. Upon all the oil wey we find for Oloibiri, how e take epp the people for there? Nigerian government and my country people, make una wise up! time don pass for all this mago mago. I visit sweden recently, omo we still dey the dark ages! If you see the kain government wey dey work for all these scandinavian countries and Canada, chai…you go see sey Naija now dey like how dem be 150 years ago. When you elect old papa for presido, na so so ancient mumu sense you go dey see for him policies! When are these buffoons going to give up? A good geologist will tell why there’s no oil anywhere in the North? They didn’t start this nonsense today. Wasting our commonwealth every damn time. This administration will die on top oil, tufiakwa. Other countries are aiming to be independent of petroleum in the next 10 years and these morons are here looking for more. k make una kontinu, d exploration of d whole north loading. We no wan hear say boko boys thief dem. God help them find the oil so we can araba in peace. Yeye people! Abeg, mek dem find more oil there, even ten times pass the deposits in Saudi, Iraq, Iran, UAE, Libya combined, so their tyranny go end. Not that they will utilize it for anything good, except sponsoring terrorism in the African continent and even globally. Their leaders will perhaps empower them with more wheelbarrows and sponsorship of hajj, enable them marry more wives, & build more Almajiri schools.